Located along the most southern tip of Tasmania’s South-West National Park, the South Cape Bay trail takes in sensational marshlands, forests and sweeping ocean views from rugged cliff tops. 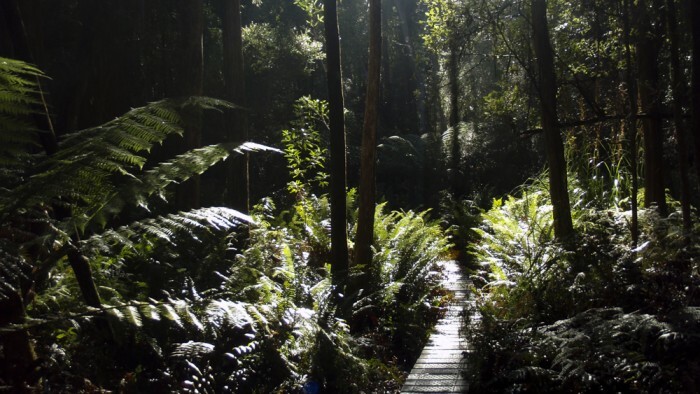 This 5 hour return, 16km hike is a must for any adventurous types visiting Cockle Creek. View Google Map Directions From Hobart head south along the Southern Outlet (A6) for 10km. Take the right hand lane at the Kingston Bypass and continue on for 2km before taking the 4th exit to Channel Highway (B68) at the roundabout. Continue through Huonville on the Huon Highway for 70km to Hastings Caves Road (C635). Following this road (changing to Lune River Road soon after) for an additional 22km to get to Cockle Creek. 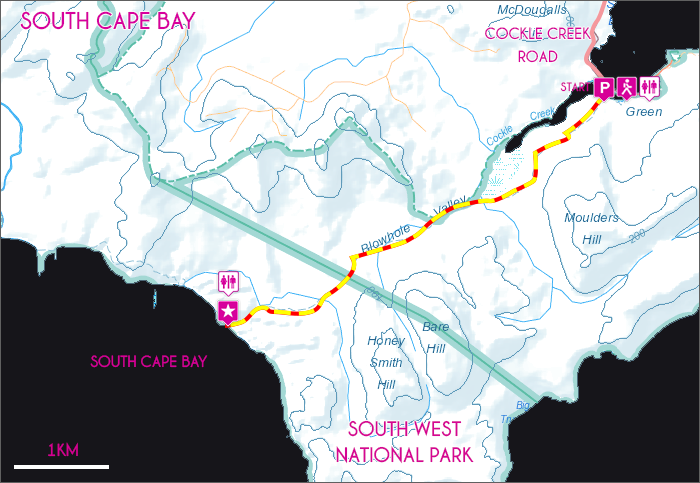 The South Cape Bay walk begins behind the rangers station. From the carpark the trail first skirts Cockle Creek, meeting the walker’s registration box soon after. For the next 3km the trail scrabbles over the gentle rocky slopes of Moulders Hill before opening up onto duck boarded marshlands. Thanks to the duck boards, the walking here is easy and the next few kilometres are quickly covered. 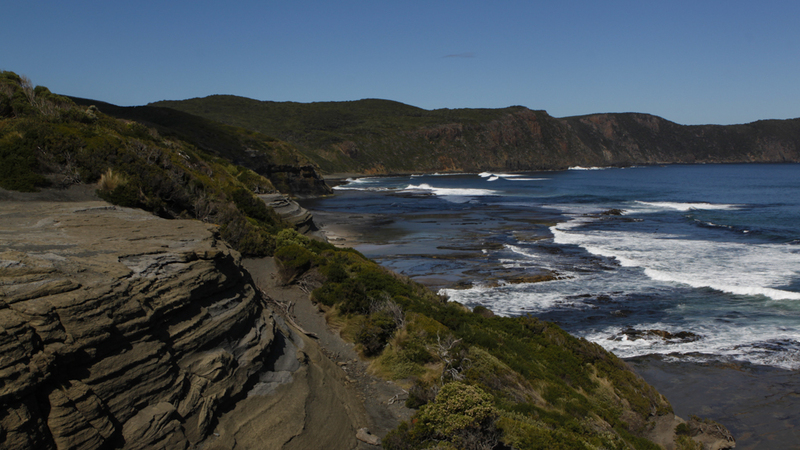 The trail then climbs along several gentle hills, emerging onto the rugged dark cliff top surrounding South Cape Bay. This cliff top section of the trail is enticingly beautiful and eerie all at once. The barren grey rock stands in stark contrast to the lush forest recently departed. From here incredible views of South Cape, Lion Rock and the turbulent ocean occasionally packed with surfers are offered. Continuing down onto South Cape Beach is highly recommended via the staircase provided on the far side of the cliffs. Toilets and campgrounds can be found inland near the creek leading onto the beach. Return via the same route. Map for illustrative purposes only. Base map supplied by Land Information System Tasmania. There are steep cliffs above South Cape Bay, many of which have extremely corroded edges. The main beach is also well known for having dangerous rips so please be smart and safe near the water.